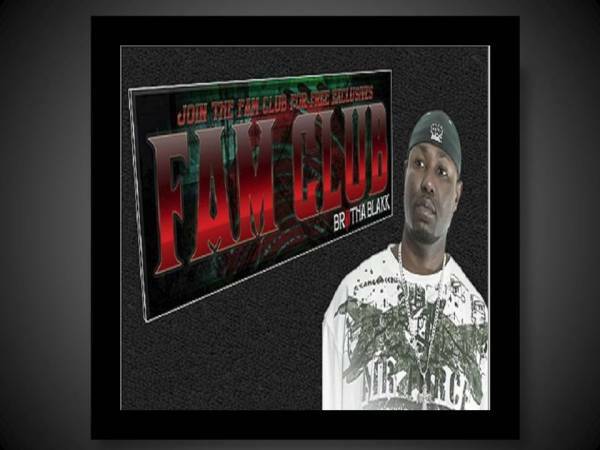 Fam Club blog announcement to let all my fans know that our http://www.brothablakk.com family is growing. 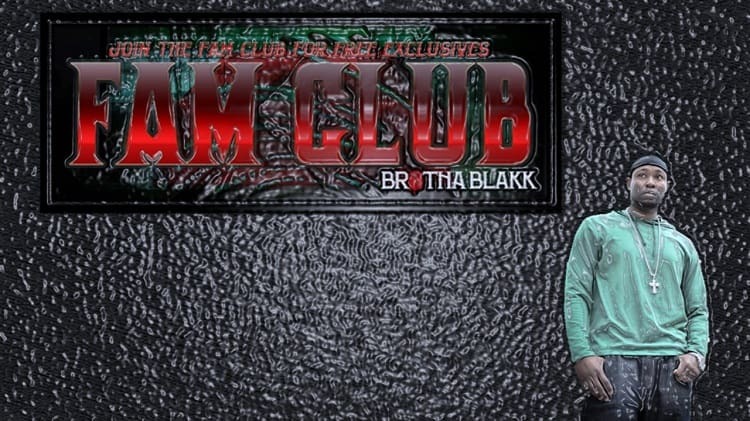 The Brotha Blakk Fam Club is taking off, so join now and don’t get left behind. If you do not know me by now, do not worry eventually you will. 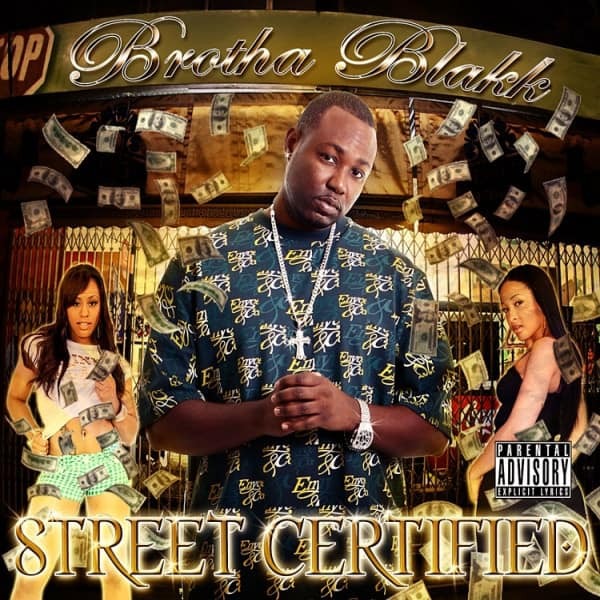 My name is Brotha Blakk and I started blogging on my site http://www.brothablakk.com as a way to vent my pissed off takes on anything that came to mind. I began talking about a little of everything but always circled back to my first love of West Coast music genre of rap. Brotha Blakk Said It became my way of voicing my opinions through literature and not just vocally over the microphone. I love making music but my side chick has become writing and she can be passionate, cruel but also gratifying and rewarding at times. I will get back to writing about anything and everything that comes to mind in the future. In fact my entire staff will move forward. Thanks again to my fans for being part of my family over the years. I would like to introduce you all to my new team of Fam Club contributing writers. I have realized that everyone is beginning to get tired of only hearing my opinions about West Coast rap music. The best way to remedy the situation is to bring in new writers with fresh perspectives and opinions. 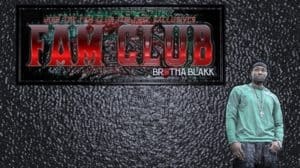 Everybody welcome Amanda Martinez, David Washington and Judy Jameson to the Brotha Blakk My Fam Club team. All writers will bring fresh and interesting takes to the things that matter most to West Coast Hip Hop fans. Also we will be discussing sports, entertainment, movies, music, political unrest, injustice and whatever the hell else comes to mind at the time. I also have a unique surprise for all My Fam Club Members. So if you have not signed up for My Fam Club yet then you need to, there are monthly giveaways to selected members. Being a member gets you monthly free music before songs are released to the general public. If you are not part of My Fam then you are missing out. Who doesn’t want free stuff, if you are not signed up then you are seriously slipping. Another Fam Club blog announcement that will excite a lot of our new and current members. I have decided to do something cool for my Fam Club members moving forward. I am giving one Fam Club member the opportunity to contribute an article as a guest blogger for a month. This blog posting position will be left vacant monthly for one choice Fam Club members to express their views on what does and maybe what does not appeal to you in the world of hip hop. The reason I started writing my blog “Brotha Blakk Said It” was because I wanted to be able to tell the truth from my perspective and shed light on my take of all generations of hip hop lifestyles. Brotha Blakk said it is my personalized stamp of approval and validates that it’s my honest opinion. That’s what these Fam Club articles and blog postings are about my particular opinion at the time. My views may change later but I like to write in the moment, so I don’t leave any of the emotion out of the piece that I am writing. If you like reading Brotha Blakk Said It, then I am sure you will love the forth coming work of the new additions to my writing team. And if you are really talented, you might just join our team down the line! As I stated being a Fam Club Member has its privileges. Email us your take and your submissions that will be reviewed for potential submission. Good luck Fam I honestly love you all. More Fam Club blog announcements soon to come, plus sign up for my monthly newsletter for additional prizes and giveaways.